I watched the second Democratic debate hoping that Senator Bernie Sanders would clearly articulate an economic policy that would differentiate him from Hillary Clinton, that would advance the interests of American workers and that would easily resonate with the millions of debate viewers. Unfortunately he didn’t. Instead he continued to lash out at the one percent, the greed of corporations, and the obscene inequality in the United States. All of that is true, but as long as he stays at an abstract level, it’s easy for Hillary to agree with him, and if there’s no distance between them, then she wins. Outside of the two debates, Bernie has been a champion of postal workers, so much so that he won the endorsement of the 200,000 member American Postal Workers Union, and has called for the expansion of postal services that would improve the lives of poor Americans, disproportionately African Americans. Sanders has spoken out against postal cutbacks and post office closings and the ongoing privatization of postal services, all of which has led to the loss of some 300,000 full-time jobs. And these are very much middle class jobs, paying about $25 an hour, or $52,000 a year. Some of these jobs have been outsourced, not to China or Bangladesh, but to your neighborhood Staples, which has become a postal “substation.” And the underpaid Staples employees, earning maybe 9 or 10 dollars an hour, and without the background checks and training of Post Office workers, just add to the list of Americans earning far less than a living wage. Bernie could have mentioned this and challenged Clinton to fight alongside him to maintain and enhance middle class jobs. He could have also reminded the former Secretary of State as well as the national audience that African Americans disproportionately make up the postal payroll so that the shrinking of the Postal workforce surely contributes to racial and class inequality. 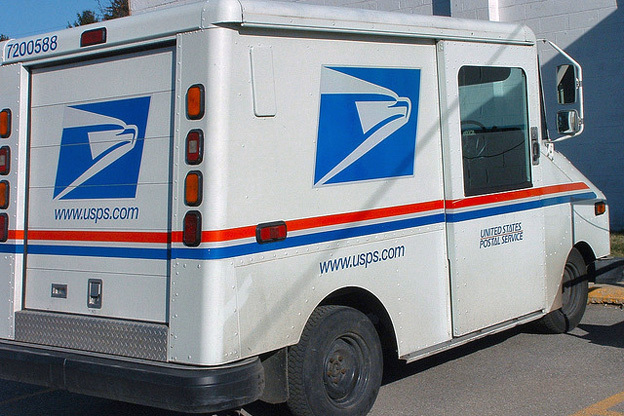 Heading off any criticism of the Postal Service as a money loser, Sanders could have told his audience that the USPS actually makes money ($1.4 billion in 2014) but has to pay out $5.5 billion a year because of a draconian law passed in 2006, the Postal Accountability and Enhancement Act (PAEA). Pushed through by a Congress looking to cut public services, the act requires pre-funding of medical insurance benefits for USPS retirees for 75 years! No other agency of the government has close to any such requirement. Bernie could have said that one of his first Presidential actions would be to call for the rescinding of the PAEA. Back in October, Bernie advocated that the Postal Service provide the kinds of banking services that it used to offer, services that are commonplace in much of Asia and Europe – a place where residents could open savings accounts, get loans and cash their payroll checks at very low costs. In many low-income neighborhoods of the country, banks have closed their branches leaving residents to pay outrageous interest rates at payday-lending services. Since the last postal saving system ended in 1967, Bernie could have used some of his debate time to remind Americans of what we used to have and should have now. So there it is. A clear-cut policy to revitalize the Postal Service, support middle class jobs, and diminish class and racial inequality. Maybe Bernie will make it central in the next debate. He missed a good opportunity in the second. 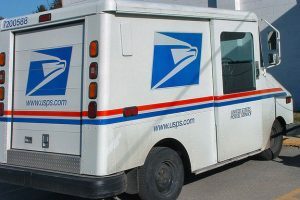 In the meantime the postal union along with the American Federation of Teachers will continue advocating a boycott of Staples to stop the privatization of middle class jobs, and more and more local communities will mobilize to keep their neighborhood post offices from closing.